The children who attend La Escuela Integrada are hungry. They live in impoverished homes where food is often scarce or not even available. It is hard to learn when you are hungry. A child with an undernourished brain is more likely to be lethargic and cannot easily process information. They may become moody or unable to focus and are generally unable to learn on an empty stomach. Without adequate food, children also do not grow to their full potential, physically or emotionally. 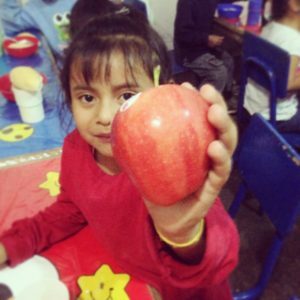 For these reasons, Escuela Integrada provides two nutritious meals a day for the children attending the school. 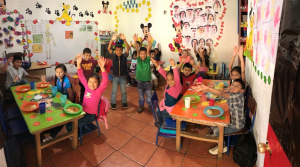 Since we have been providing the full meals twice per day, we have seen a marked improvement in the children’s learning, energy levels, attendance, and development. This program is currently underfunded. We do not want to consider providing less food for the children, but may have to face that reality without additional support for this program. Before we do, we are asking for your help. Will you join us and participate in the Give a Child Your Lunch program? In this program, you pledge to forgo one $10.00 restaurant lunch per week and give those funds to a child attending Escuela Integrada. A pledge of four lunches per month ($40/month), will feed a child two nutritious meals per day for the entirety of the school year. Thank you in advance for your willingness to share your lunch with the kids!